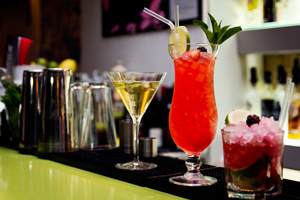 London's nightlife is world-famous and many of those venues make a great setting for events. Proud Cabaret is a Burlesque supper club that offers the "flair of a contemporary art gallery with the pulsing rhythm of a dedicated concert space". The former horse hospital and Grade II-listed building in Camden can be hired for 20 to 700 people. The South Gallery can accommodate 120 guests for dinner, the Gig Room can be used as a conference space by day and the Main Bar houses former stables that can be booked for groups of 50. The kitchen, bar and games rooms, inspired by the game of ping pong, opened in Earls Court at the end of July. Ping operates as a relaxed restaurant and bar Monday to Wednesdays and a livelier late-night dance venue into the weekend. The total capacity is 420 and Ping is available for private hire on weekdays, with prices worked out for individual companies according to numbers and services required. Located at the Aldgate end of Brick Lane, Apples and Pears' cocktail menu is inspired by the East End and it uses organic, British produce to create classic and signature drinks, some of which are served in vintage teapots with a stand of cupcakes. 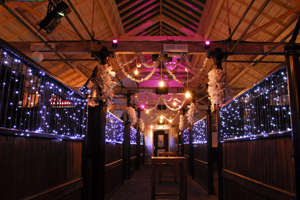 The Basement bar can be hired for up to 80 people, the main bar, with an adjoining beer garden, can be booked for 80 and the whole venue can be taken over on an exclusive basis for 160 guests. Browns in Covent Garden is housed in the former Westminster Law Courts. There are four rooms available for hire. The Judge's Courtroom can seat 100 people for dinner or 150 theatre-style. Barrister's Court can host 48 for dinner or 70 at a reception. Judge's Chamber can accommodate dinners for up to 40 and the Judge's Study can be used for small meetings or dinners for 12 delegates. Tesco and Wine Australia UK are among the companies that have booked Browns for their events. Project, just off Oxford Street, is available as a venue for after parties, corporate events, and private viewings as it has LED screens throughout. It was used by car company Seat as a Christmas party venue and for catwalk shows during London Fashion Week. The club's capacity is 400 but sections can be closed off to suit smaller groups. The club nights are Tuesday, Thursday, Friday and Saturday so it is unavailable for exclusive use on these nights.